I am the creator and editor of CultureCase: a resource from the Cultural Institute at King’s College London that takes carefully selected academic research from universities and scholars around the world and turns it into short accessible summaries that demonstrate the impacts of arts and culture, as well as informing future planning. We are currently developing a statistics sister site to CultureCase. I am the ‘Researcher in Residence’ for the Change Creation Programme, alongside colleagues at People Make it Work. 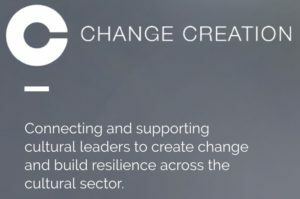 Funded by Arts Council England via its Building Resilience strand, Change Creation is taking a diverse cohort of 28 cultural organisations through a transformative process of change management. I have teamed up with US-based consultancy firm WolfBrown to help the Canada Council for the Arts develop a framework for measuring their impact. Our brief is to help the agency find qualitative measures that identify and arrange the many intrinsic impacts their funding has on individuals and communities in Canada. 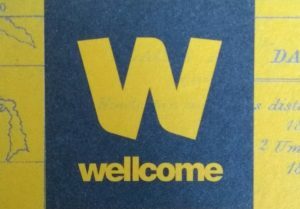 I have teamed up with Lizzy Moriarty to help Wellcome better understand Contagious City’s impacts, continually refine its approach, and to share its insights across the organisation and its network of project partners. As ‘Learning Partners’ we are undertaking Summative, Process and Developmental Evaluation for this international project that blends art and science to mark the centenary of the 1918 Spanish Flu epidemic. In collaboration with Antonia Byatt and Lucy Hannah I am looking at the role of literature in the development of cities around the world (including Capitals of Culture, UNESCO Cities of Literature, World Book Capitals, etc.) to help the British Council develop their approach to policy in this area.